These are super simple to make and I started them off with a protein pancake mix , any brand would do. Adding greek yogurt and peanut butter not only adds flavor it adds more protein. 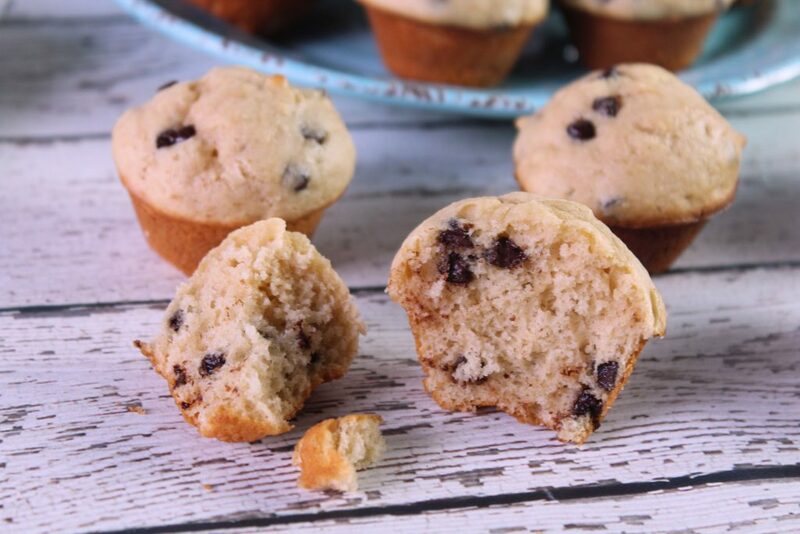 My kids love chocolate chip pancakes and muffins so adding them was a little bonus for them but they are only optional. 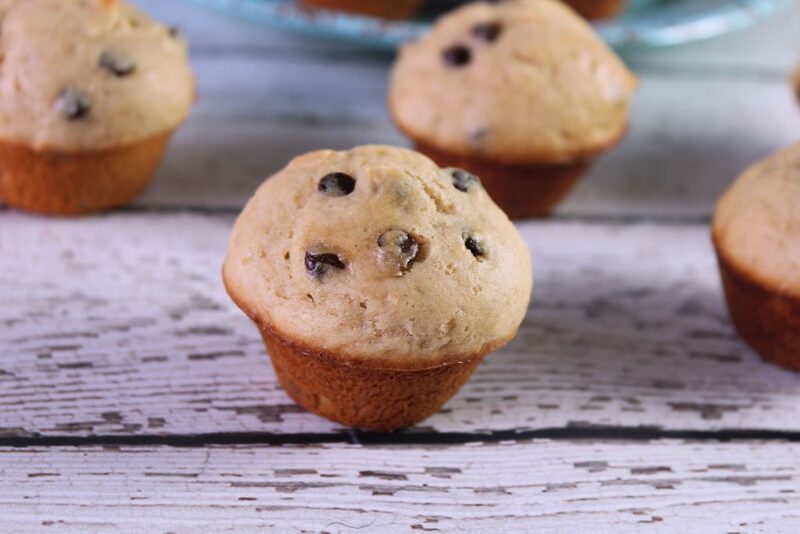 While these are not a substitute for eggs and bacon they are a good option when in a hurry . 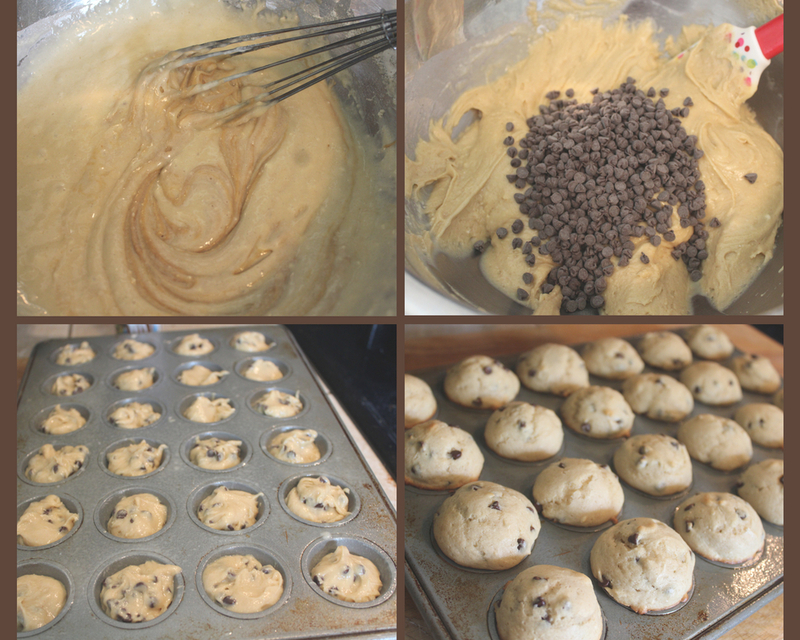 These are like any other muffins and basically whip all the ingredients together and then fold in the chocolate chips. 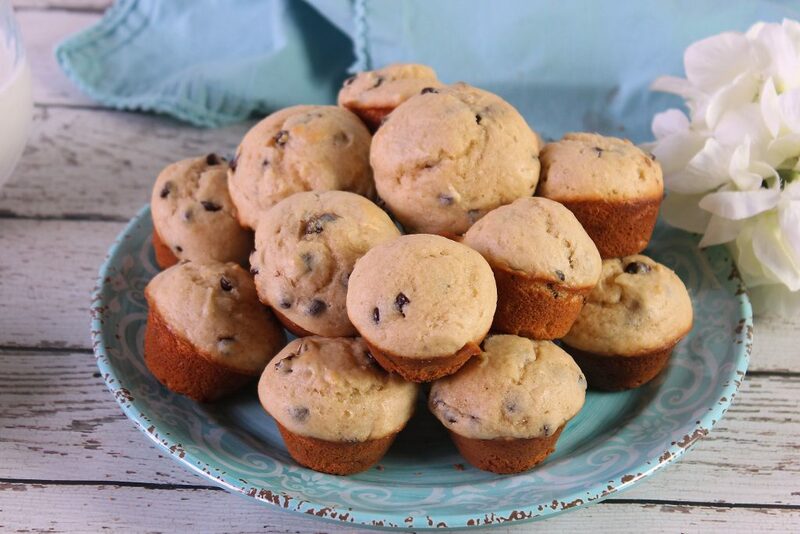 After spraying a mini muffin pan spoon the mixture into muffin wells. Bake in a preheated oven for eight to ten minutes. In a large mixing bowl mix together the pancake mix, baking powder, sugar, milk , yogurt, and eggs.